In Korean culture, 60 is a big deal, just like the first birthday. Some people throw small galas at a local hotel ballroom. Some buy extravagant gifts. Some send parents on trips of a lifetime. The rationale for the celebration at 60 came from a time when surviving six decades (read: war-torn Korea) was a momentous achievement. These days, not as much. Now 70 is the new 60, and if family tradition is any indication, so will every decade thereafter be. And as second-generation Korean Americans, often a “sandwich” generation raising kids while taking care of retired parents, there’s the responsibility of upholding Korean tradition and respecting your elders, while setting a good cultural example for the next generation. So when my mother-in-law’s 70th came rolling around, we decided on a big family trip to the motherland — South Korea — a place half the family had never been. 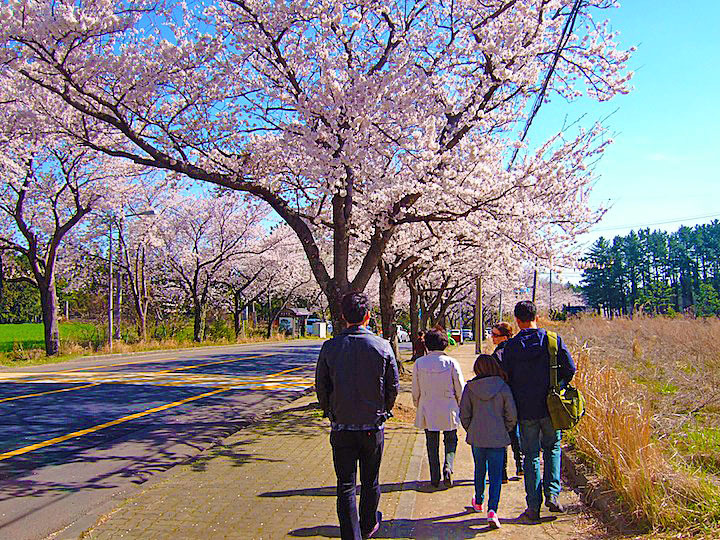 That meant seven people ranging in age from 7 to 70, only one of whom spoke fluent Korean, and another only somewhat familiar with modern Korean society. We weren’t sure where to start, but the goal was eight days, five cities, smack in the middle of spring break. Through trial and error, we learned a lot during this mother of all vacations, something that will prove useful next year for my parents’ 70th, when I’ll be doing this all over again. First, find a tour guide. Yes, you have to do a tour. My husband and I generally eschew tours, but for children and retirees, you need a guide. Trust me, it will save your sanity. 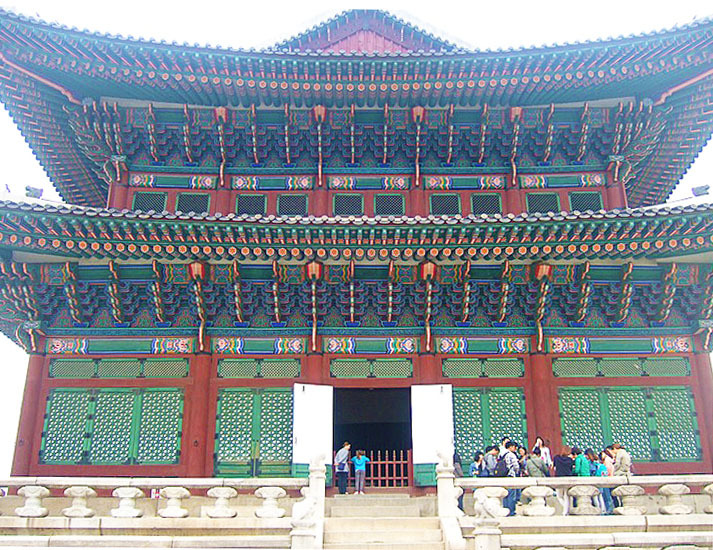 There are non-Korea-based English language tours, like SITA, that are pretty expensive. 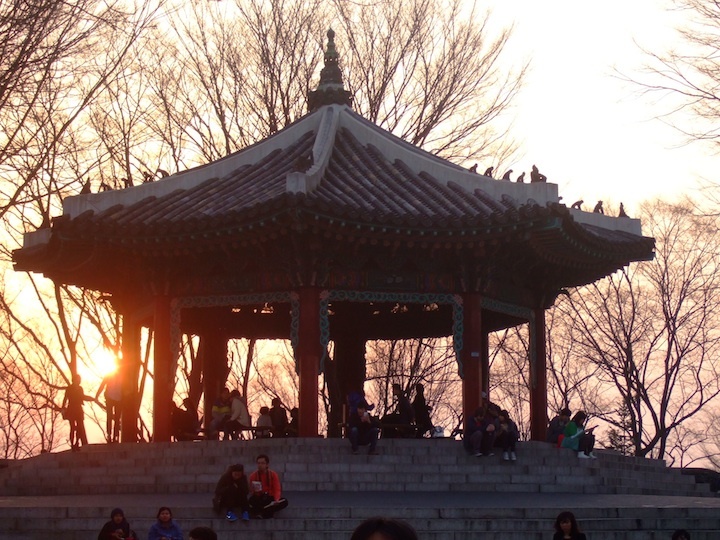 There are also Korea-based tour companies that are quite affordable, but the guides only speak Korean or you’re traveling on a megabus with 30 other people. My brother-in-law chanced upon Sally Tour during a Google search. The founder, Sally Kim, had worked at one of Korea’s largest travel agencies, whose clients included FIFA and the LPGA, before opening her own shop in 2010. She specializes in customized group tours of seven to 10 people, with most of her clients coming from Singapore, Malaysia and Indonesia. Having lived in Canada for a while, she’s fluent in English, and we communicated with her mainly through email. She was responsive, detailed and patient throughout our myriad tweaks to the itinerary and accommodations. All in all, she made the planning part of our trip a relative breeze. 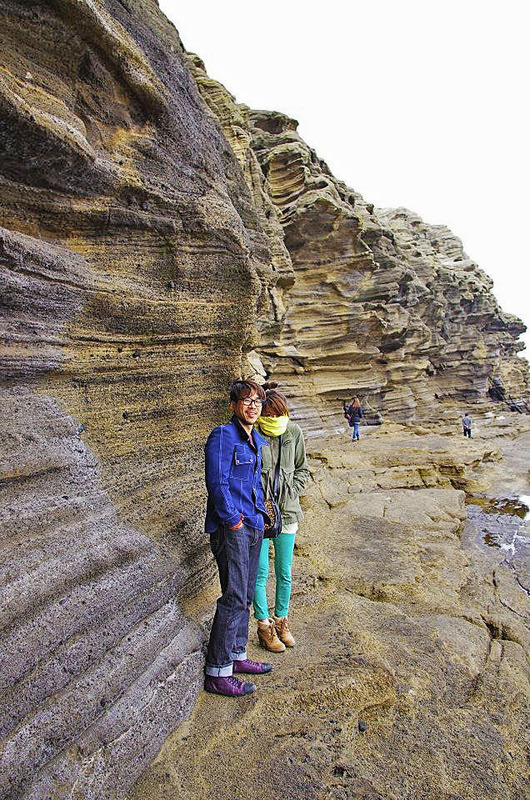 We packed a little too light for the biting wind at Jeju Island’s stunning Dragon Head Rock — layers are key! Second, pack light. This we did not heed. And though we had a whole minibus completely at our disposal, we were responsible for dragging our own luggage on and off the minibus, the taxi, the train and the plane. And since we moved from city to city practically every day, well, let’s just say the two men on the trip got plenty of exercise. Take moments like these at Busan’s Haeundae Beach to let the kids enjoy themselves. Third, personalize the itinerary. The best thing about moving through an entire country in eight days with Sally Tour is you can tweak the itinerary according to your family’s particular needs. Kimchi-making class? Our grandmothers made kimchi in our garages. Pass. A bit too much Korean food? Ask the guide for a free night like we did. We found a surprisingly good Italian place in Busan (with decent wine!). Want a bit more time to shop or linger over the hotel breakfast buffet? Ask to push back the pick-up time. The guides are generally flexible, which we really appreciated, especially towards the end of the trip when the pace of the seemingly nonstop schedule started to really wear on nerves. Lastly, be prepared. And by that, I mean mentally and emotionally. Your mantra should be: It’s not about you — it’s about them. You’re going to have trying times. You’re going to disagree. You may even have an almost-bar fight over why you didn’t stand up to Mike Miller for your brother in the 11th grade. But for the sake of the kids and especially your parents, be an adult about it. This trip is a microcosmic reflection of your life — you are now the grown-up. You’ve got the power. Use it for good. Written by me, originally published in Audrey Magazine.